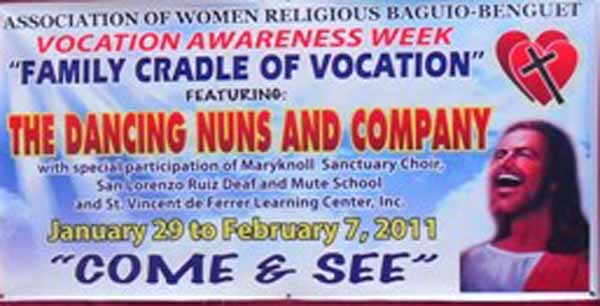 From January 29 to February 7, 2011, the Association of Women Religious Baguio-Benguet from the Philippines promoted a week of shows featuring dancing nuns in the city of Baguio. The goal of the initiative was to attract new vocations. 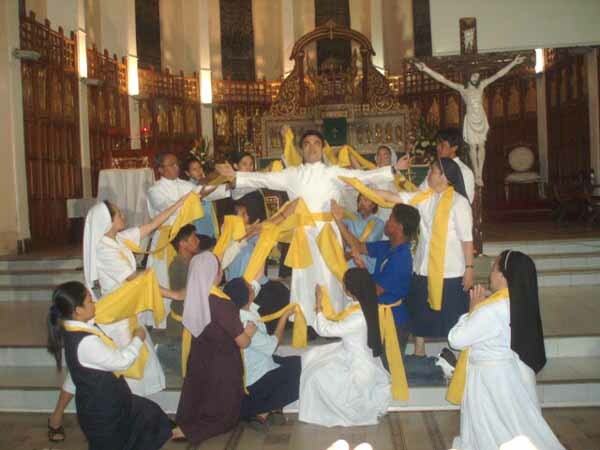 Since the 19 women's religious institutions of the city do not have enough nuns for their schools, retreat houses and parish work, they decided to adopt a new way to invite the local youth to join the religious life. 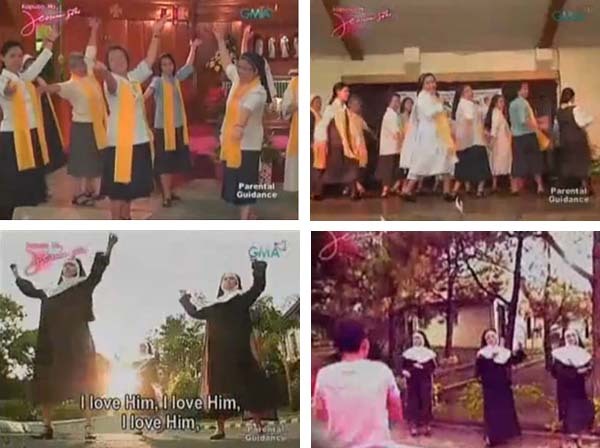 To show that "the sisters are not just to pray, but continue to be themselves" - Sister Eva Vargas of Villa Milagrosa Convent explained in a newspaper interview, Philippine Daily Inquirer - they chose to dance to the rhythm of "Toyang," a fashionable song in the 1990s. "We dance to Toyang because the song is very popular among the youth. This will call their attention," Sr. Vargas affirmed. The song was released in 1993 by the Eraserheads band and is about the love of a young man for a girl. To make it clear that the nuns had the full support of local Bishop Carlito Cenzon the week started with a dancing show in the Cathedral of Baguio, performed during the Mass. Then the nuns - about 30 dancers from 11 different religious institutions - put on shows in parishes, Catholic universities and schools. The initiative was mainly from the Maryknoll Sister, with the full and public adhesion of the Good Shepherd Sisters. We deny that this method of adopting the modern customs of youth attracts true religious vocations. Instead of sending young women the clear message that the religious life demands a complete rejection of the world, these dancing shows implicitly invite them to a life of compromise with the world, and not of heroic separation from it. Lastly, it desacralizes the life of the present-day nuns, who should be recollected and virginal spouses of Christ, and not frivolous dancers imitating Broadway style shows. 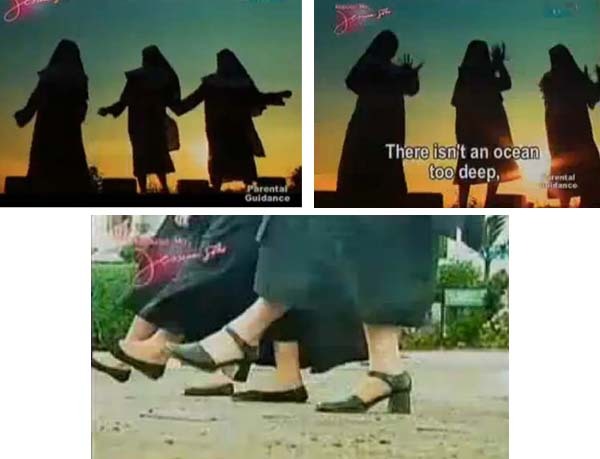 Our pictures, taken from a 9-minute TV video promoting these dancing nuns, feature them performing in different places during that week. 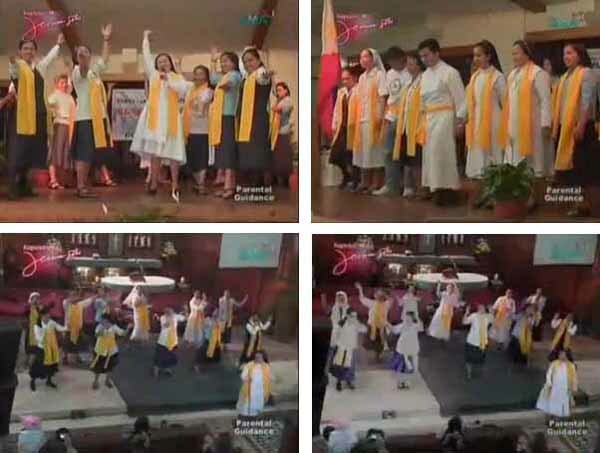 One sees that they also gave a special performance for the TV cameras inside their convents. Who Are these Dancing Ladies?